Please bear in mind that there is no hard and fast rule in using Electrical Plasma Devices for Aesthetic applications. This table is provided as a general indication as requested by our customers. These are the settings which can be used at beginner level. The information in the following table alone does not suffice to use our devices. 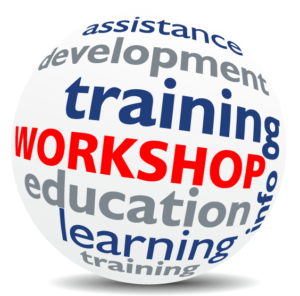 All information and know-how required to perform these aesthetic procedures are detailed on the on-line training platform VoltaicPlasma.com. Smoker Lines/Perioral Lines Attenuation Spot Mode or Rarely Spray Mode Three sessions on Average Level 1 with three battery configuration; a quarter of a second spot duration; spots distanced 2 to 3 mm apart. Apply the spots between the wrinkles and never inside them. Up to Level 8 with three battery configuration; up to half a second spot duration; spots distanced 2 mm apart. Apply the spots between the wrinkles and never inside them. Expert users also utilise the spray operation (up to lever 8 with three batteries). Crow's feet attenuation/periorbital lines attenuation Spot Mode or Rarely Spray Mode Three sessions on Average depending on the individual case and treatment intensity Level 1 with three battery configuration; a quarter of a second spot duration; spots distanced 2 to 3 mm apart. Apply the spots between the wrinkles and never inside them. Up to level 10 with three battery configuration; up to half a second spot duration; spots distanced 1 to 2 mm apart. Apply the spots between the wrinkles and never inside them. Improving the appearance of fine lines and wrinkles Spot Mode or Rarely Spray Mode Three sessions on Average depending on the individual case and treatment intensity Level 1 with three battery configuration; a quarter of a second spot duration; spots distanced 2 to 3 mm apart. Apply the spots between the wrinkles and never inside them. Level 12 with three battery configuration; half a second spot duration; spots distanced 1 to 2 mm apart. Apply the spots between the wrinkles and never inside them. Mini Face Lift using localised skin tightening Spot Mode or Rarely Spray Mode 2 to 4 treatments Level 1 with three battery configuration; a quarter of a second spot duration; spots distanced 2 to 3 mm apart. Up to level12 with three battery configuration;half a second spot duration; spots distanced 1 to 2 mm apart. Mini Neck Lift using localised skin tightening Spot Mode or Rarely Spray Mode 2 to 4 treatments Level 5 with three battery configuration; a quarter of a second spot duration; spots distanced 2 to 3 mm apart. Up to level 12 with three battery configuration;half a second spot duration; spots distanced 1 to 2 mm apart. Xanthelasma Removal Spray Mode Only One to two Sessions required depending on the experience of the user; Experienced users are normally able to remove all Xanthelasma in one session. Level 1 with three battery configuration; spray on top of the Xanthelasma until all the yellow fat residues are removed; in case of residual fat deposit after the first treatment the Xanthelasma can be removed completely following a further session after the area has healed. Level 1 with three battery configuration; spray on top of the Xanthelasma until all the yellow fat residues are removed; Users with experience in removing Xanthelasma are usually able to remove them within one session. 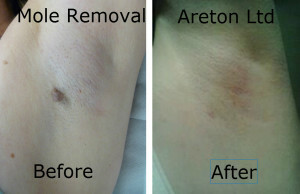 Benign Moles Removal. Including Seborrheic Keratosis; Syringoma and most other benign skin condition Spray Mode Only One to two sessions;Usually one session Level 1 with three battery configuration for beginners; spray on top of the Benign Lesion until the benign lesion has been completely flattened with the surrounding skin for best aesthetic results Higher power levels (including power level 32) can be used by experienced users when removing thick lesions to increase speed of removal of the large mole. When the mole is almost flattened the power level is reduced to minimum to best flatten the mole with the surrounding skin area in order to achieve best aesthetic results. Tattoo Removal Spray Mode Only Several treatments may be required. 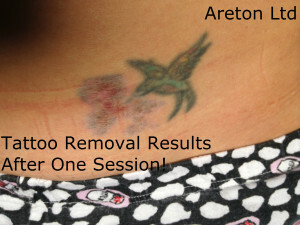 Tattoos are generally difficult to be completely removed regardless of the method used to remove them. Level 1 with three battery configuration for beginners; spray on top of the tattoo in order to remove the epidermal layer. Then you can spray again on the upper dermis to break the tattoo pigments. At the end of the treatment apply Sodium Chloride as required between 1 and 3 hours. 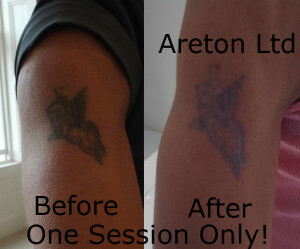 Experienced users can opt to use higher power level to complete the tattoo fading session faster. 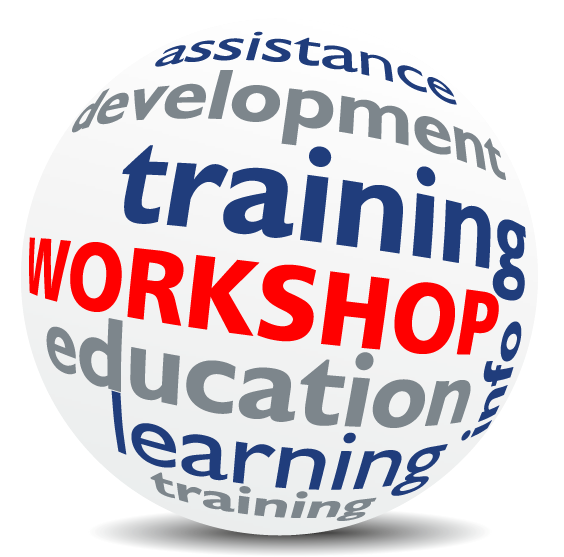 Some advanced users with experience in electrical plasma tattoo removal use the device up to level 16 in spray mode. This allows to break down immediately. However experience is required as well as a fast sweeping motion. This is not recommended to beginners. Permanent Make-up Removal Spray Mode Only Typically one to two treatments usually suffice Level 1 with three battery configuration for beginners; spray on top of the tattoo in order to remove the epidermal layer. Then you can spray again on the upper dermis to break the tattoo pigments. At the end of the treatment apply a paste of Sodium Chloride and sterile saline solution for 10 to 15 minutes. Same device settings shall be utilised by experienced users. Acne scar attenuation Spot Mode Three to five sessions depending on the area covered and the depth of the scars themselves Level 1 with three battery configuration; a quarter of a second spot duration; spots distanced 2 to 3 mm apart. Apply the spots between the depressed areas of the scars and never inside them. Level 1 with three battery configuration; one second spot duration; spots distanced 1 to 2 mm apart. Apply the spots between the depressed areas of the scars and never inside them. Brown Spots Removal Spray Mode Only One Session Only Level 1 with three battery configuration for beginners and advanced users; spray on top of the brown spot in order to remove the brown epidermal layer. Rub with a cotton pad impregnated with non flammable antiseptic until the carbon residues are removed and the upper dermis is exposed. Same device setting and directions. Age Spots Removal Spray Mode Only Three treatments on average. The deeper the pigmentation the more treatments may be required. Level 1 with three battery configuration for beginners and advanced users; spray on top of the brown spot in order to remove the brown epidermal layer. Rub with a cotton pad impregnated with non flammable antiseptic until the carbon residues are removed and the upper dermis is exposed. In case of Age-spots the hyper-pigmented area is present also in the dermal layer. For this reason multiple treatments are required to achieve the desired results. Same device setting and directions. Skin resurfacing Spray Mode Only One treatment Level 1 with three battery configuration for beginners and advanced users; spray on top of the brown spot in order to remove the brown epidermal layer. Rub with a cotton pad impregnated with non flammable antiseptic until the carbon residues are removed and the upper dermis is exposed. Only treat small area (Equivalent dimension of one Penny). Same device setting and directions. Red Veins Removal Spot Mode Only One session usually suffices to remove most red veins on the face Level 1 with three battery configuration for beginners; Apply spots every 2 mm following the red vein until it has disappeared. Same device setting and directions.